THE BACKGROUND OF CULINARY EXCELLENCE . . .
Raleigh Event Catering is an integral part of the comprehensive line-up of event services offered by our family owned and operated company, CoordEgy Events. We pride ourselves on delivering superior quality value and service to every client and we look forward to helping you make your special event or celebration a huge success. 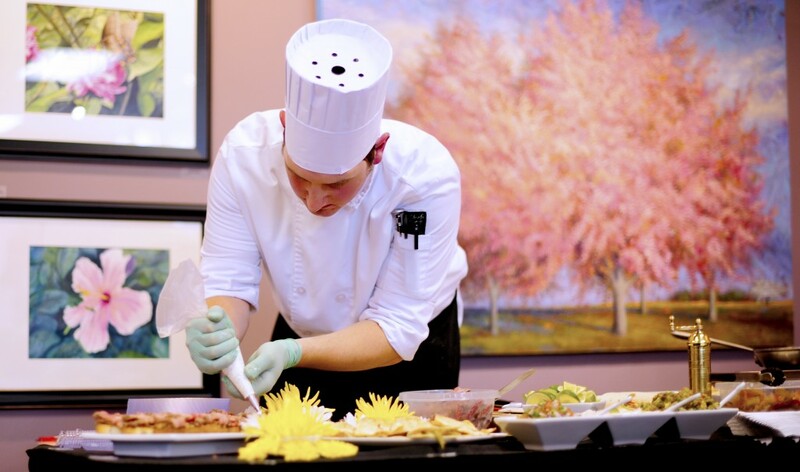 Our Executive Chef, Nathan Junell has years of catering and corporate chef experience and brings his personal flair and attention to detail to each event and every client. In addition to providing a wide variety of food that can complement and complete any event, we specialize in Destination Catering, and can bring the flavors of regions around the world to your event. To learn more about what we can offer for corporate events, special events, weddings, and more please feel free to look around our site or contact Raleigh Event Catering. We primarily serve the Triangle area of North Carolina in Raleigh, Cary, Apex, Durham, Chapel Hill, Wake Forest, Morrisville, Fuquay-Varina, Holly Springs, Garner and the surrounding areas.